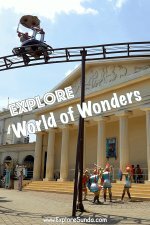 To travel Indonesia, we will find lots of great places to visit in Indonesia for everyone. They are perfect for family vacations, honeymoon, students field trips, challenging outbound trip and sports, and many more. Presently the islands of Java and Bali are the most developed tourist destinations in Indonesia, especially in the area of art and cultures. There were many kingdoms prior to Republic of Indonesia. They merged into Republic of Indonesia when Indonesia proclaimed its independence in 1945. Presently these palaces have become the cultural center. There are several palaces you can visit. For example: Keraton (palace) Kasepuhan and Keraton Kanoman in the city of Cirebon in Sunda, Keraton Ngayogyakarta Hadiningrat in Jogjakarta, Keraton Surakarta and Mangkunegara in Solo. They are all open for public. 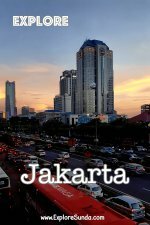 The land of Sunda is also homes for three presidential palaces: Istana Merdeka in Jakarta as the president residence (Istana is Indonesian language for palace), Cipanas presidential palace and Bogor presidential palace. The next places to visit in Indonesia are temples. Java and Bali have many ancient temples built during the glorious days of Hindu and Budhist kingdom several centuries ago. The most famous is Borobudur temple, one of the world's seven wonders. Borobudur is a Budhist temple, built in ninth century. The restoration is not completely done yet, since some of the stones are missing due to volcano eruption and earthquake as well as thievery. Nevertheless, it is already well developed for tourism. It has a huge park surrounds it and a museum where we can learn the story of the epic carved all over the temple as well as the restoration development. The second largest temple is Prambanan, a Hindu temple near Borobudur. It has an open stage where a dance performance on Ramayana epic is performed every full moon. 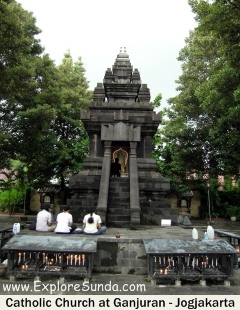 There are many others smaller temples all over Java. 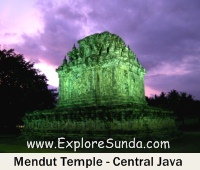 Some are formed as a complex of temples, such as Dieng temples in Wonosobo and Gedong Songo temples in Semarang. We also can find a Hindu temple in Sunda, Cangkuang temple located in the suburbs of the town of Garut.The small temples are also built from stones, but usually they don't have carvings on their walls. Although the size of Bali island is much smaller than Java, it has many more Hindu temples. They are all still used for religious ceremony as well as tourism. Therefore, whenever you go to temples in Bali, there are some rules we must obey. For example, there are some restricted area we can't enter and we must wear decent clothes or borrow sarong. The biggest temple in Bali is Besakih temple. In addition, Bali has nine key directional temples. The famous ones are Tanah Lot temple where we can see beautiful sunset overlooking the temple and Uluwatu temple which is facing Indonesian ocean. These temples give influence to Indonesian architecture, which we can see in the catholic church at Ganjuran village, Jogjakarta. Indonesia is an archipelago located in the equator consisting of thousands of islands. Thus, all of our beaches are tropical beaches with many beautiful diving locations. Some diving locations that are famous all over the world are Bunaken in North Sulawesi, Wakatobi in South East Sulawesi, Raja Ampat in Papua, Lesser Sunda islands, Krakatoa in Sunda strait, and many more. Some of the tropical beaches have been developed into beach resorts but many more are still natural tropical beaches. If you love surfing, you will have great time at the world's surfing spots in Indonesia. Indonesia also has many active volcanoes, which is famed as Ring of Fire. We can visit some of them, look over their calderas or walk along the side. Often we can find hotsprings nearby the volcano. 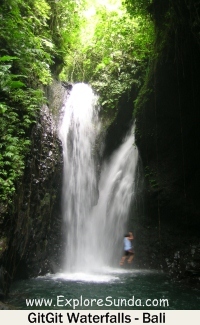 The land of Sunda has several hotsprings spots, which already developed for tourist destination. They are: Ciater near mount Tangkuban Perahu Lembang and Cipanas near the town of Garut. We can take a bath, swim, stay a night in the hotel or take a spa session there. The mountains also reserve abundant water, where it flows through beautiful waterfalls and rivers. We even can join rafting in some of these rivers. 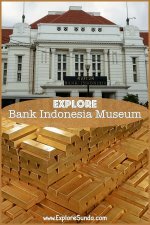 There are too many great places to visit in Indonesia that I can cover in one page, even in one website, hence, let's start with one place I know very well: Sunda.